Juice thrives on being different and has launched a fresh, new, innovative and easy to use learning platform! Described as a mix of Facebook, PlayStation and Netflix in an online learning environment. We take the things we love about games, such as the fun factor, the challenges, the potential for rewards, and apply them to our training. Ensuring recruiters are engaged and motivated – emotionally and intellectually. Achieving their learning objectives with leaderboards, levels, badges, awards, experience points, certificates and manager’s praise. Bring your profile to life when using our exciting social learning and collaboration features. Rotating banner featuring new Juice courses and the option to customise with your logo brand. Level up! The more you learn and interact, the higher your progress level will be! Quickly and easily see what’s next in your learning journey – whether your manager has allocated a course or you’ve chosen it yourself. How are you doing? See how you compare to your colleagues and check-out who are the movers and shakers in your company! Bask in the glory of your awards, badges or achievements – and set your sights on the next one! Show-off by sharing on Social Media! Real time updates on who’s doing what. Like, share, tag, upload. Your Facebook-style feed for learning. 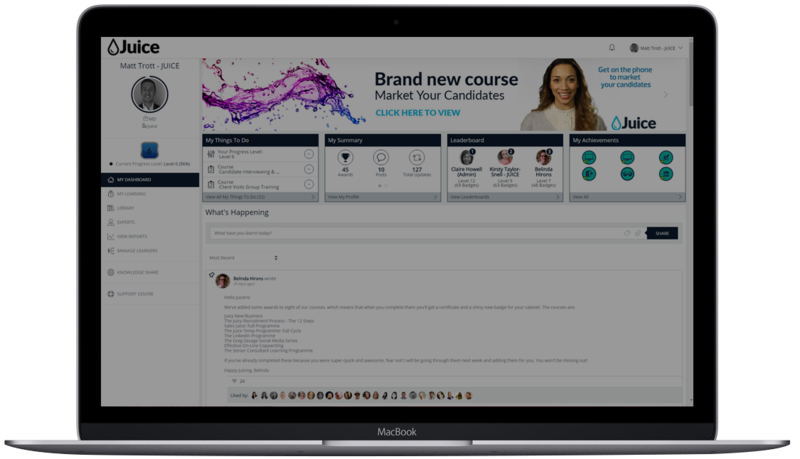 Quickly and easily browse the world’s largest and most engaging library of online Recruitment courses. Question about Juice or Recruitment? Choose the relevant expert and ask away! Managers – assign courses to your recruiters with deadlines & review progress. Or schedule regular emailed reports. Social learning is the future! Create exclusive learner groups to share, collaborate and learn from each other. Engages and motivates recruiters to achieve their learning objectives. Share, collaborate and learn from your colleagues. Learn on the go – Juice is fully mobile enabled for any device. Engage your recruiters worldwide with full language support. Managers can assign courses or recruiters select their own. 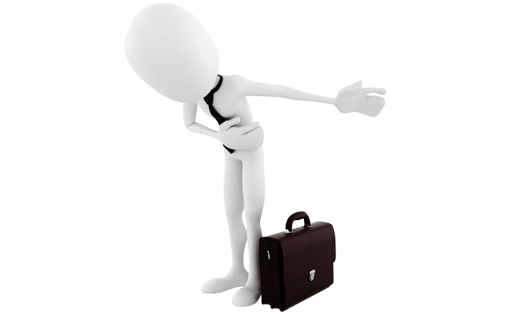 Managers – set course completion dates for your team members. Question about Juice or Recruitment? Choose the relevant expert. Continuous updates and new features on a monthly basis. Level up! The more you learn and interact, the higher your progress level will be. Managers – learner activity & progress emailed regularly direct to your inbox. Managers – quickly & easily assign courses, track progress and interact with learners. Super intuitive navigation and search functionality to find specific courses. Automate learning based on skills or roles to set learners on their ideal journey. Featuring an API that lets your Juice Learning Platform sync with existing HR systems. Learner and manager email notifications so everyone is in the loop. Easy, mobile-enabled, cost-effective and proven to deliver results…Ta-da!